Jill DeWit: And I’m Jill DeWitt, broadcasting from gorgeous, beautiful, sunny, Southern California. I have to throw all of those words in there. Steven Butala: Because it is all of that today, actually. Jill DeWit: It is. It’s fun right now. This is an awesome time. 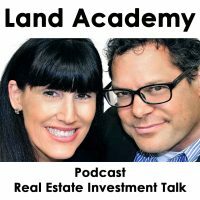 Steven Butala: Today, Jill and I talk about the truth about the ugly houses franchise versus House Academy. We’re not supposed to talk about houses on this show. Jill DeWit: Now why are we doing that, right? Steven Butala: You know, because, here’s why. Steven Butala: I did a bunch of research, and talked to a bunch of people, because we’re going to launch House Academy here soon, and filming it. I wanted to see, because they’re our biggest competitor. Then it turns out, they’re not a competitor at all, and that’s what we’re going to talk about on the show. Steven Butala: How they handle things and spoon feed their franchisees is not what we want to do. Jill DeWit: Well, and here’s the other thing that I want to share, too. The reason that we’re talking about this is because it’s a natural progression for Land Academy members. That’s what’s happening. Jill DeWit: Some people are kind of winging it, and doing it on their own, and already doing really well which is great. And I know when you come up with House Academy it’s just going to take it to the next level. Steven Butala: I tell ya, if the data piece intrigues you, and how we analyze and choose markets to get into on empirical data, almost in real time. I mean, as close to real time as you can get without spending a fortune and having a PhD in data, they’re going to love House Academy, because it’s just Land Academy times four. Jill DeWit: Yeah. Almost feels like cheating, but it’s not. Steven Butala: Exactly. Before to get into the topic though, let’s take a question, posted by one of our members, on the Land Investors dot com online community. It’s free. Jill DeWit: Yeah. I know, do you want to. Steven Butala: Yes, you go first. Steven Butala: I mean, I could spend an hour on this. You go first. Jill DeWit: Okay. The easiest way, Jason, or Jackson, that it is for me to describe this is, the traditional methods involve you waking up every day, putting your thinking cap on, and going and looking for deals, where you’re driving for dollars, where you’re sending out emails, whether you’re fishing. I see people do it all the time. Throwing out lines in social media all the time. Especially Facebook saying, hey, does anybody have any deals in the x, y, z area. I have buyers. Whatever it is. You’re going out every day and having to do something and get stuff coming back to you. And, side note, what comes back to you is not always what you want. It’s often, oh hey, you know, people who are looking for retail prices and you know, maybe not the right sellers. So what we do is, just get our offers out, smoke out who are those interested sellers, get them thinking about our offers. They know what we’re prepared to pay. They know who we are. It lays this foundation. So, by sending out those offers, and then those people call us back, now I really have the ear of the right people, and those are the only ones I want to talk to. Steven Butala: I was exactly in your seat. Exactly. I was a pretty good real estate, commercial real estate broker, in commercial investment property. And if you have what it takes in that business, and you clearly do, you certainly have what it takes in this business, actually, to do much better financially. And it’s much more consistent with predictable, and results we’re going to analyze and improve on. If you know how to get listings. I think yesterday somebody asked us about this. You know, I can get listings pretty well. Well, if you know how to get commercial real estate listings, this is just another way to seriously enhance it, actually. It will eventually replace any other way that you do it. So imagine this. You’ve got a Rolodex of, I don’t know, four or five hundred apartment building owners. So you call them up. The old school way is maybe not your way. Hey property owners, how you doing? Hey, you want to go play some golf on Wednesday? Can you get away? Have you been thinking about selling that property on Main Street? I’ve been talking to a buyer. So, it’s all that salesman. It’s all inefficient, in my opinion. Steven Butala: Wouldn’t it be better to just take all 500 of those people, send them an offer that’s reasonable, not crazy, which is what we do. A reasonable offer. Now you have, and 4 or 5%, or 1% or 2% of them call, say yes. You know what? I’ve been thinking about it. I talked to my son. I talked to my wife. You know why people sell real estate. You’re in the business. I do want to sell that property on Main Street, and 1.6 million bucks is great. And then you go back to all your other buyers, or wherever, and you talk about it. So, imagine replacing all those inefficient conversations with just one mailer. And then on the other side, and email that says, yup, one to sign a listing, 123 Main Street. And now, taking it a step further, you buy the building yourself, or with a group of investors, and you make a decision based on an asset, of course, which is a little bit more complicated than land. A lot more complicated. Based on the asset, you either improve it, or you mark it up and sell it. But, either way, you don’t pay too much for it. You just, our way, and it’s what Jill said. It takes all the junk out of it, and all the inefficiencies in the conversations, and the schmoozing, and the stuff that really should, all the stuff that should have stayed within the 21st century. Just leave it all there. Steven Butala: It is so much more efficient to do this. Steven Butala: Then, because it’s so much more efficient, instead of 200 owners, you could have 200,000 apartment building owners, because it’s just as fast to send 200,000 emails out, and it’s just as fast to send 200,000 offers out. Jill DeWit: Think about this. Where do we do most of our research? I mean, I’m just thinking about the mindset. Why, I don’t know why this is so hard for people to imagine, but, think of like your… Our way of doing research. I don’t know if picking a doctor is the right thing. Steven Butala: Oh, pick on doctors. Jill DeWit: How about picking a dry cleaners. Picking a dry cleaners. Think about this. Steven Butala: I like dry cleaners. Jill DeWit: Okay, so, how do we do our research? We get on Yelp. We look at reviews with Google, all that good stuff. Do we sit and call customers? Could you imagine? Hi, do you happen to get. Hi, I’m your neighbor. Or do you even go door to door, ask all your neighbors. Can you imagine if you asked all your neighbors. Steven Butala: Do you have any cleaning? Jill DeWit: What dry cleaners do you use, and what’s your experience. How efficient would that be? Instead of five minutes on Yelp, reading reviews, getting a good feel. You know, it’s like, I guess, it’s different but I see it as similar. It’s, we’ve got to change the way that we’re doing things. And I just don’t understand why people still think that we should get in the car, and go drive looking for stuff. Or, old school, pick up the phone. It’s like, you know, the phone book. Come on. Steven Butala: I don’t think that, honestly, to everyone’s credit. I think those people, there might be five or six people on the internet that are vocal about doing things that way, which we all make fun of. I think the real tragedy in real estate is, relying on the person who calls you that day, which is usually a real estate agent, who’s usually 20 years younger than you, and has no skin in anything. Or, you rely on the MLS. You know, the MLS has been around forever. Steven Butala: It’s just put it on the internet not that long ago. So, I think a lot of people think MLS is all brand new, and this is 21st century stuff. No, I was around, the MLS was in a book. They published it like a phone book every month or so, or every two weeks. So, you have to keep on. The point is, and I think we’re both saying it in a different way, just stay ahead of the whole thing. Steven Butala: There will be a new thing two years from now, and we will release another program, because we’re constantly talking to people and thinking about better ways to do that. Jill DeWit: I may have one more point to Jackson’s question, is that what people don’t realize, sending an offer, there’s so many sellers out there, mom and pop and other traditional companies, that might own a mobile home park, or a strip center, or an apartment building, believe it or not, that might appreciate getting an offer. Don’t think this is the only place with land, or the only place with this, only applies to elderly sellers or something. Steven Butala: And there’s some people who don’t want to get any offers. Jill DeWit: I’ve even heard of people think of, like, really try to get strategic about this and say, I’m going to send it to people that I can tell they’ve owned the property for 40 years, so they’ve got to be at least 60. You know what I mean? Stuff like weird things like that. And thinking that they’re going to hit this community. Like, oh, forget it. Don’t even go that far. You know, heck, I like getting these offers, you know? There’s somebody like me, you know. And it’s okay. It works, I guess, for all different property types and stuff too. Steven Butala: It’s scalable too. Jill DeWit: Yes, that’s the bust. Yeah, gosh, if your phone’s not ringing or if you don’t have enough deals, just send out email. It’s not expensive. It’s so valuable. Your time is valuable. Steven Butala: Hey, don’t take our word for it. Go on LandInvestors.Com. It’s not a plug. And ask people, is this a bunch of malarkey? Jill DeWit: And just say, how does this work for this? Steven Butala: Do these guys make it? Jill DeWit: And they’ll tell ya. Steven Butala: Do these two schmoes on the radio, do they make us. Jill DeWit: I’m not a schmoe. Steven Butala: Oh, don’t. Then, the schmoe and the pretty one? Do they make it sound to easy? Jill DeWit: You’re not a schmoe. Steven Butala: What’s the catch? Jill DeWit: Hey now. You know what the catch is? I’ll tell you right now. You ready? Jill DeWit: Here it is. You have to work at it. Steven Butala: Or it costs money. Jill DeWit: Well, that too. Steven Butala: Its not free to send a mailer out. Jill DeWit: No, it’s not free, but still. Steven Butala: I think that keeps, like, 80% of the people on the planet out of it. Jill DeWit: Still, I purposely think that people get hung up on, there are steps. I’m here to tell you, there are steps. You gotta do it right. But, once you get it going, you’ll make some mistakes. Fix it, move on. Steven Butala: Today’s topic, the truth about the ugly houses franchise versus House Academy, that’s about to be released. This is the meat of the show. Jill DeWit: At the end of this year, I believe. Steven Butala: At the end of this year. Jill DeWit: I’m not sure. Steven Butala: So I’m filming Land Academy right now, and putting a whole program together. Steven Butala: Or sorry, Land Academy 2.0. Steven Butala: And House Academy at the same time. And I’m doing research on the ugly houses franchise. It costs 50 grand to get into it, but get this. Steven Butala: There’s an 800 number. Here’s their whole model. And I’m not knocking it. I’m not knocking it, because deals get done this way. And I’m, they’ve sold 700 franchises. It costs 50 thousand bucks to get into it, and you sign off on a lot of stuff. But here’s what people like about it, and/or don’t like about it. You decide if this is for you or not, and I’ll compare it to House Academy. Jill DeWit: And let us know what you think. Steven Butala: $50,000 to buy in. They train you for a couple weeks. So far, so good. You can spend hundreds and hundreds of thousands of dollars on a fast food restaurant and get nowhere. So that part of it’s not so bad. They promise you, and they deliver. They have an 800 number, and they promise that they will spend x amount of money on advertising to make sure their phone rings, which makes sure your phone rings. And that works. All the leads come in to this 800 number from television and from other ways that they advertise. When they get property leads in, in your little franchise area, let’s just say it’s Arizona, Scottsdale, Arizona. They get it in. They negotiate the deal. They make an offer. They secure the transaction, and they send it to you. You’re the end. They send it all, the transaction that they have created, or screwed up depending on how you look at it, to you for you to solve and make money on. All in all, not such a bad idea. Jill DeWit: Yeah. They’re weeding it out, and you’re paying for leads, kind of thing. Steven Butala: So, the positive things that I heard franchisees say are, boy, I could have never negotiated that deal myself. They take the negotiation out of it. Steven Butala: Here’s our version. Here’s the Land Academy, House Academy version. We take you to the water, and we teach you how to fish. We don’t give you a fish every day. Steven Butala: You teach a man to fish, or you can teach him how to fish, and he eats for a lifetime. Jill DeWit: And we can hold back your fish. They hold back your fish. Jill DeWit: We don’t hold back the fish. Steven Butala: Or we give you a little fish once in a while. Maybe a big fish, if it’s a good day. Jill DeWit: We might keep the pretty ones for ourselves. Steven Butala: We, this is what we teach. Jill DeWit: Right? We don’t do that. No, seriously. Steven Butala: We don’t play games like that. Steven Butala: And I’m not knocking their ways. Jill DeWit: I was just using your fish. Steven Butala: They’re very successful. They’ve been around for a long time. Jill DeWit: But they can keep the pretty ones for themselves. Steven Butala: No, they don’t do deals. They advertise. I understand your point. Steven Butala: They don’t cherry pick. They do not do deals. They promise you that. Jill DeWit: Well then, that’s not good. How do I know they know their stuff, if they’re not doing deals with me? Steven Butala: I mean, that’s my big question. So if you’re so good at negotiating these deals. Jill DeWit: Why aren’t you doing the deals? Steven Butala: So there’s that. That always concerns me. Jill DeWit: Yeah, that makes me think. Steven Butala: And let me finish this here. Jill DeWit: So, the money is in me, not the deal. Oh, I have some questions there, too. Steven Butala: So our way is this. We teach you how and run alongside. We teach you how to review data, analyze data. We give you all the tools and the resources, the exact same ones that we have. I mean, every single one. Jill DeWit: That we’re using. Steven Butala: There’s not any resources that we have that our members don’t have. There’s not. Steven Butala: Except experience, and some of our members are more experienced than us, and they make more money than us. Steven Butala: But it’s all about the data. We, and full blown, right on the screen, hours of exactly of how I pick a market and why, how I line it up against, you know, take ten, twenty zip codes in one little MSA. One little town, or city. And why three of them make the cut. The other ones don’t. And it all comes to statistical reasons. Then we actually go through how to send mail out, how to choose the data. We use Data Tree for houses. You get a subscription with that, when you sign up with the whole thing. So again, now, you can take, if you’re in Ohio, you can take it and do it in Indiana. You can take it and do it in Northern California, when you’re done learning how to do it. Here’s the thing. Here’s the thing. Here’s my final point. You have to be smart. You have to know data. This is not house investors, what is it called? This is isn’t we buy ugly houses. Steven Butala: It’s not just pick up the phone and finish the deal. Steven Butala: This is full blown real estate. You’re a real estate investor with, under our group, and we provide the tools, education and tools that are everything that you need. Jill DeWit: It’s such a strong company. Steven Butala: Everything single thing. It’s your own company. Steven Butala: So, I’m not, again, I’m not knocking those guys and I never will. But I just don’t see them as competitors. Plus, it’s like five times more expensive. Steven Butala: You know, literally. Jill DeWit: Yeah. We don’t know what ours is going to cost, though. Steven Butala: It’s not going to cost. Steven Butala: It’s like something conservative, so. Jill DeWit: Yeah. That’s cheap. They must have monthly things, too. Steven Butala: They do. Yeah. Jill DeWit: And I wonder if you have to buy leads. I bet there’s a lot of little things that they, because if they’re making that much money off it, and not doing deals, that’s one of my questions. Steven Butala: Their top producers do about 60 to 100 deals a year. Steven Butala: The top, like, 20 producers. Jill DeWit: What if it’s a commission. You know what I mean? If it’s like a broker or like, say that you work for Sutherbee’s or something. They get a little piece of the action. Steven Butala: I don’t want to confuse everyone, Jill. Steven Butala: I did a ton of research on this. Jill DeWit: I know you did. Steven Butala: So there’s no commissions, and there’s no licenses. Jill DeWit: Really? Cool. All right. Steven Butala: There’s a lot of disclosure, and a lot of lawyers involved. Steven Butala: They provide the contracts. They really, really send you a bankers box full of procedures and policies, and how to do stuff. And by the way, you are an ugly houses franchises member now, and you have to do it our way. Steven Butala: Not because it’s a reflection on us. There’s just not just you out there. And so. Jill DeWit: Who’s a perfect candidate for that, then? Steven Butala: The real estate agent. Steven Butala: Or a former real estate agent. People who don’t want to learn Excel. Steven Butala: They do not want to understand data. They don’t want to learn it. They have no interest in doing a mailer. What they want is, they want to wake up in the morning, and their phone rings. Steven Butala: And a deal’s all pre-negotiated. Jill DeWit: Go to 123 Main Street, see Mr. Jones. Steven Butala: Mr. Smith, we’ve done all of this. Here’s the contract. I’m sending it over. Would you like it or not. Steven Butala: And then they close it, and resell it. It’s made for people who, HGTV people, who want to renovate houses. And we don’t want to do that. That’s a waste of time. We’re data people. Jill DeWit: Yeah. We are. I like getting the deal first. It’s funny how many, how often that happens. I just had it happen today. I had a guy, like, wanted to get on my buyers list. I was like sure, okay, great. And he’s like, hey, do you want to be on, as the flip side, do you want to be on my buyer’s list. And I’m like, not really. That’ll mean bigger pockets. I’m like, why would I want to do that? That means you got there first. No thank you. I don’t think he understands how it works. Steven Butala: That’s awesome, Jill. How about, do you want to be, I’m going to play in your pond. You want to come over here? Jill DeWit: No, not really. Like, why would I do that? Jill DeWit: Ah, I missed that one. Steven Butala: That’s just like you. Like, nah, I don’t. Jill DeWit: Yeah, no thanks. Steven Butala: We know how to get our own stuff. Jill DeWit: Yup. We do. Steven Butala: So, is it pretty glaringly evident the differences? I think so. We apply the same exact principles to Land Academy. There’s no competition for Land Academy. Steven Butala: I mean, none. I don’t know. There’s other people you can learn from, but that’s about it. Well, you’ve done it again. You’ve spent another 15 or 20 minutes listening to the Land Academy Show. Join us again tomorrow. Jill DeWit: Where we discuss. Steven Butala: I lost my place. 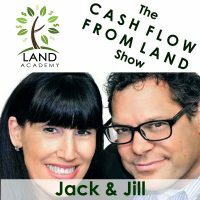 Jill DeWit: The truth about land acquisitions. And we answer your questions posted on LandInvestors.Com. That is our online community, and it’s free. Steven Butala: You are not alone in your real estate ambition. There’s where I get passionate and lose my place. 15 things going on here. Jill DeWit: I feel like, I didn’t mean to tick you off. Jill DeWit: Oh, okay. Like, I was asking questions, and you’re like, not now. Xnay on the those. I’m going like. Steven Butala: No, I just don’t want. No, no, Jill. Never upset with you. Jill DeWit: Well I just was being devil’s advocate and asking some questions, so. Steven Butala: No, I just. I don’t want to confuse everyone. You know. I think the whole, what you said was, is, you nailed it. Who’s it for, then? And it’s for real estate agents. Jill DeWit: Share the fun by subscribing on Itunes from where ever you’re listening. And while you’re at it, please rate us there.